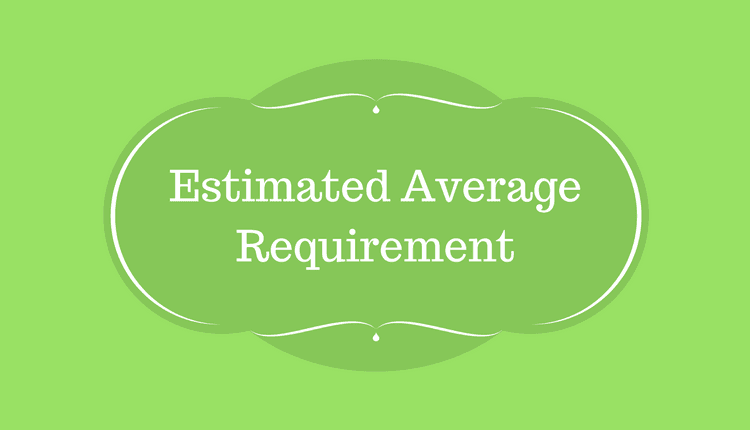 Estimated Average Requirement is a value of the nutrient intake, which is estimated to meet the requirement of 50% of the healthy individuals in a group. EAR serves as a standard level of nutrients, which an average person requires for his good health and overall well-being. It is used to determine the nutrient intake and to assess the prevalence of inadequate nutrient intake among the population. Hence, it helps in establishing if each person meets his or her nutrient requirement. Inadequate nutrient intake leads to the onset of nutrient deficiencies and affects the quality of life negatively. Therefore, it is essential to know and understand the body’s need for nutrients. EARs serve as the basis for Recommended Dietary Allowances (RDA). In other words, it is used to calculate the RDA.